Ideal for many general laboratory sterlization applications, the Touchclave-R cylindrical range has been designed with flexibility and reliability in mind. 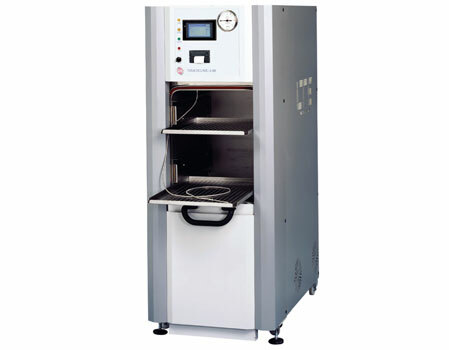 It is ideal for installation in laboratories which do not have access to a drain or water supply. Equipped with features not normally seen on this type of sterilizer, Touchclave-R provides unrivalled performance and versatility. Simple ‘push-n-seal’ door with pneumatic seal and locking.